Learning styles – don’t work or do they? Much has been written about learning styles and in the world of education the very idea that there might be one “good way” to learn remains controversial. The term which refers to the many ways in which we learn is often used interchangeably with ‘thinking styles’, ‘cognitive styles’ and ‘learning modalities’. 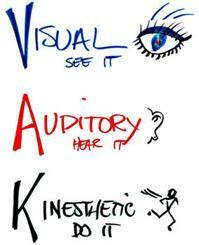 How you process Information – How you perceive, store and organise information, for example, VAK, visually, auditory, kinaesthetic. The environment in which you learn – Your preference towards learning in a certain way, perhaps with others or on your own or in a certain setting or at a particular time of day. Learning Strategies – Your use of differing methods to learn specific subject matter in a particular way. For example making notes using mind maps rather than in a linear format. In this blog I want to concentrate on the first of these, how we process information, in particular VAK, however the observations are just as relevant to other learning styles. The argument is simple, everything you have learned at some point has come to you through your senses, but have you got a preference, is there one method that you as an individual are more receptive to than another? Do you for example prefer to look at pictures and diagrams (visual) rather than listen to someone explain how it might work (auditory) or would you like to do something rather than talk about it (kinaesthetic). Kinaesthetic touching and doing Practice questions.Build it….fix it…. But do learning styles work? Watch this clip as Professor Daniel Willingham describes research showing that learning styles are a myth and that learning styles dont exist. Baroness Susan Greenfield, Professor of Pharmacology at Lincoln College, Oxford University and ex Director of the Royal Institution has even been brought into the debate. So, given this lack of consensus amongst researchers, why bother to consider learning styles at all? The reason I would suggest that knowing about learning styles is helpful is not so that you can label yourself an “auditory learner” “theoretical learner” etc, this can narrow your ability to learn and even provide an excuse for poor performance, “I did not do very well at that because I am not that theoretical”. No it is to broaden your horizons and give you alternative ways of learning should you get stuck when trying to understand something. Understanding more about how you (might) learn can really help. Imagine you are sat there at night reading and re reading a chapter in a book, clearly getting nowhere, becoming more frustrated at your own abilities. What if you stopped reading to yourself and begin reading out loud, thus changing a visual internal auditory style to a visual external auditory one. 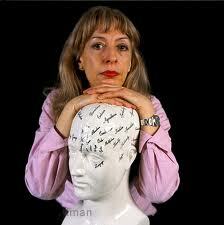 Susan Greenfield is right, we learn best when we stimulate the brain with all our senses and not just one of them. Understanding about learning styles is about creating more choice and flexibility, if one method isn’t working then change to another. This entry was posted in Education, learning, Learning styles and tagged Auditory learning, Baroness Susan Greenfield, Education, learning, learning style, Learning Theories. Bookmark the permalink. I’m not sure there is a lack of consensus among researchers, as I’ve never seen any evidence that would cause me to believe that there is any such thing as a learning style that helps people learn. There may be preferences, but that is unrelated to the learning itself. One of the key principles to learning that has been forgotten by so many educationalists is that learning is work. It may be fun, and it may seem to not really involve effort, but it does.